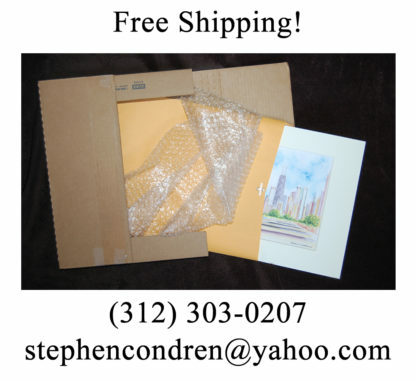 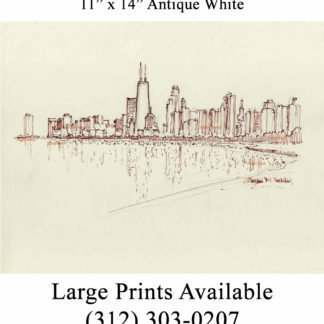 Chicago skyline #854A pen & ink cityscape drawing, which is for sale here, at discount with prints by artist Stephen F. Condren, SAIC, of Condren Galleries, a Fine Arts Gallery, offering JPEG & PDF prints. 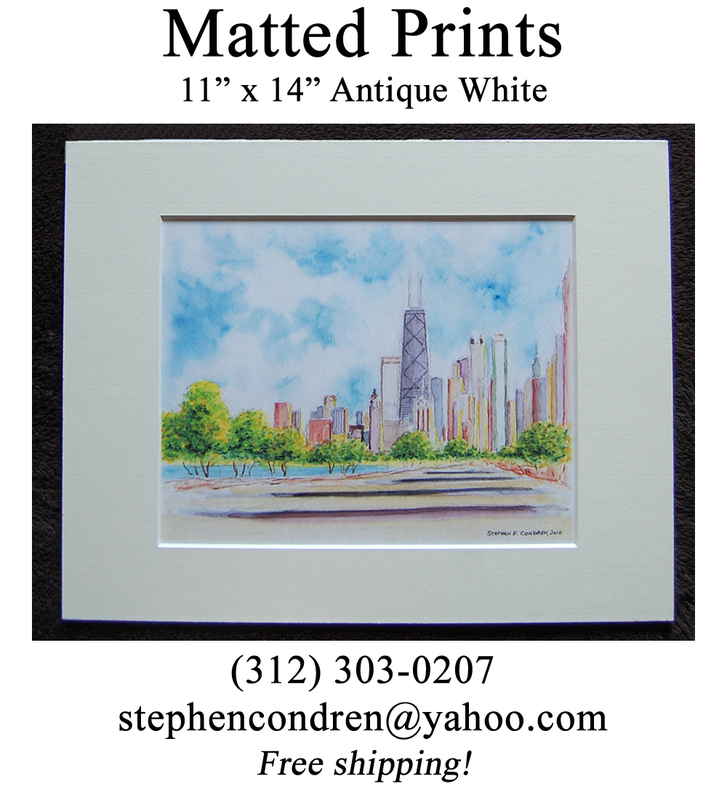 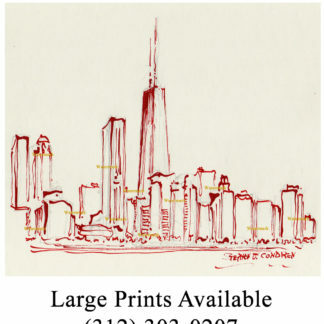 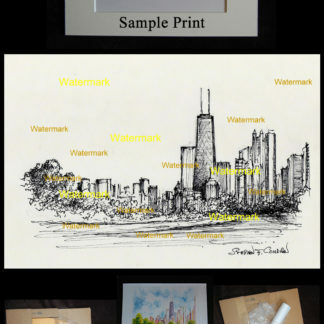 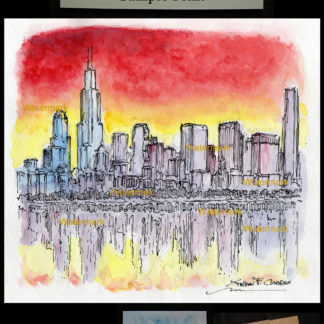 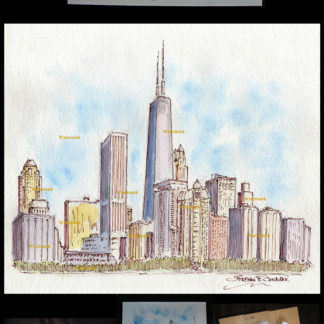 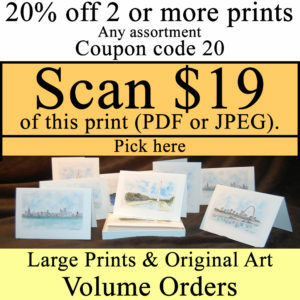 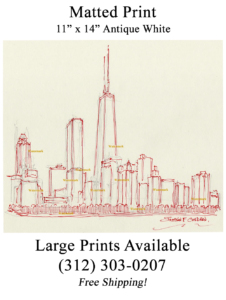 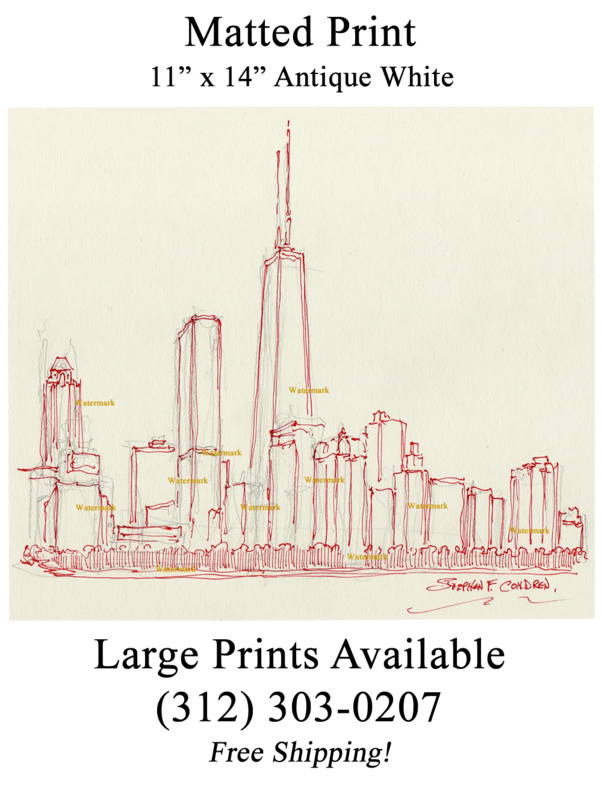 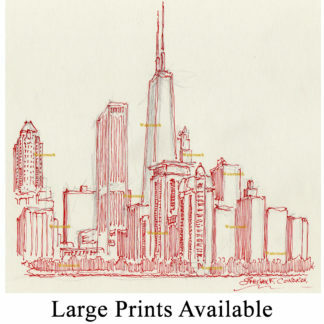 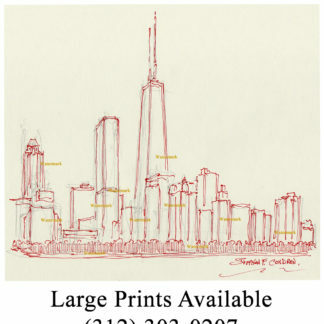 In the drawing of the Chicago, Illinois, skyline I have broken the images down to their most basic units. 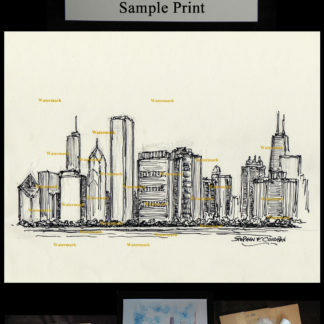 My goal here is to bring out all that makes up the composition of the drawing and placing all of their elements together to give the image meaning. 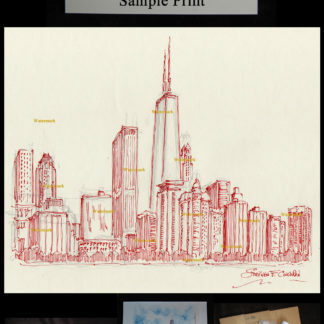 I do not want to so an outline or simply break the image down into pieces, rather I want to obscure the images in their union and see how they work together. 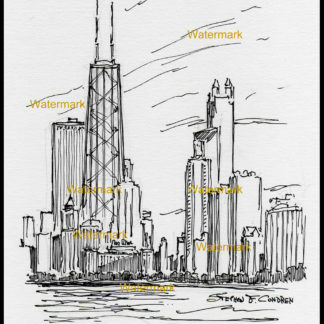 Doing away with the shadow lines in the drawing helps clear away the unnecessary detail that can so often bog-down a work of art and make it tedious thus losing the meaning of the work of art. 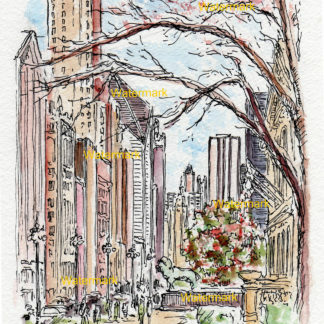 The only shadowing in the drawing is the hatching of the trees at the base of the drawing, this does not have and adverse affect on what I am attempting to do here.